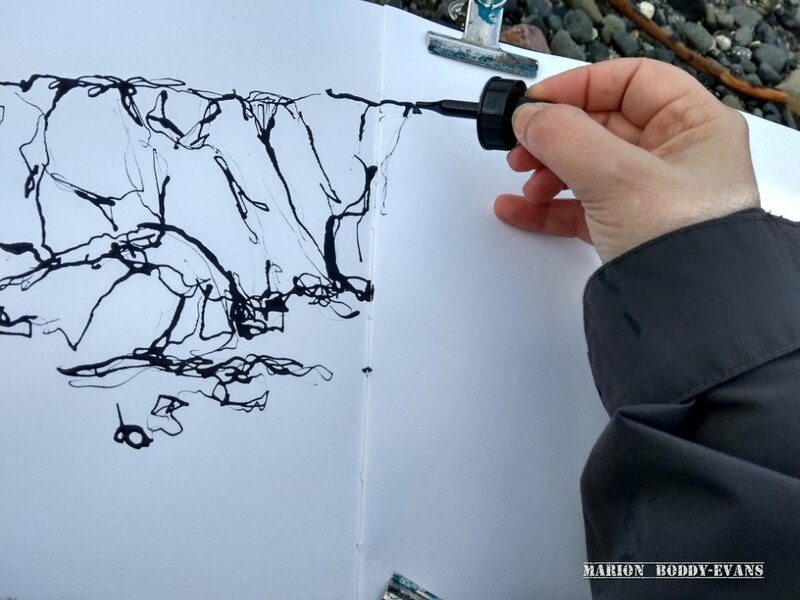 Because I’ll be starting my Higham Hall workshop with continuous line drawing and want participants to easily find these two videos, I’m putting them together in this blogpost. No doubt with the right cable I will be able to play them on the TV in the studio at Higham Hall, but this is the backup plan. Or maybe given my love of cables that’s the backup plan and this is Plan A.